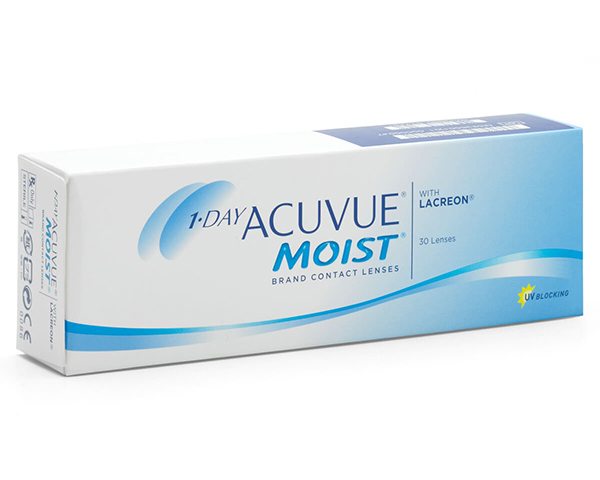 Johnson & Johnson 1 day ACUVUE® MOIST® daily disposable contact lenses give you fresh and comfortable eyes all day long, even at the end of the day. As easy to put in as they are to take out, they give the health and convenience of a fresh, new lens daily. World-leading Johnson & Johnson 1 day ACUVUE® MOIST® daily disposable contact lenses are available at Specsavers at great value for money prices.